We’re making changes to streamline our processes to provide a better member experience. 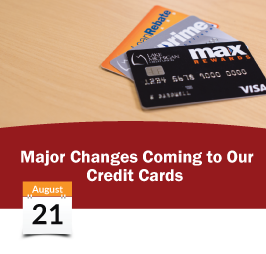 On Monday, August 21, 2017 you will find it much easier and faster to access your account and transaction information online, as well as simplified procedures for redeeming rewards benefits. 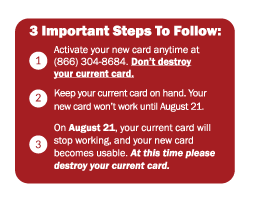 These changes will also provide instantaneous, up-to-the-minute transaction records of your activity that can be accessed both online and in-person at all branch locations.